Beautiful, romantic and feminine 'Jazz' wedding dress from the 2017 Vintage Collection by Rembo Styling. 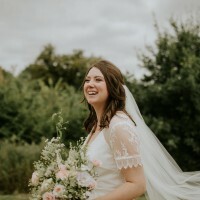 It felt amazing to wear on my wedding day in August 2018, and I'd love for another bride to feel as good as I did for a cheaper price! V-neckline, sheer lace panels in the back with delicate button fastenings. The gown was tailored to fit my measurements (5ft 6 plus 3.5 inch heels, and approximately a size 12.) There are pads sewn into the cups so you do not need a bra. You can bustle the dress at the back for easy dancing or let it flow beautifully on the floor for your walk down the aisle. The dress is in excellent condition, it is so beautiful I wish I didn't have to part with it, but we are moving abroad so need to downsize our possessions! 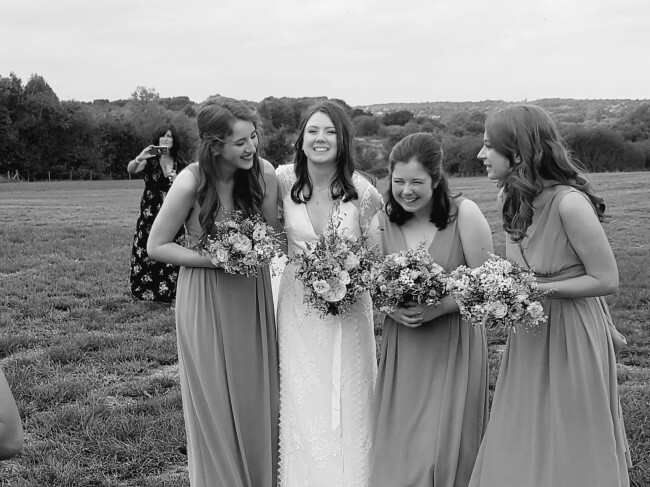 The dress has been professionally dry cleaned and comes in a stunning storage box which you could reuse following the wedding to preserve the dress.